I had a claim a few years ago where a horse got out and went to the next door neighbors and ran across their swimming pool that had one of those expensive hard retractable covers. It cost several thousand dollars and it was covered by the liability policy. Suppose you were boarding what turned out to be an ill-tempered horse for your neighbor, and another child from the neighborhood got into the stalls and was severely kicked resulting in serious injuries and medical costs, for which you were sued personally. Depending on your coverage, Boarding insurance provides money for your legal defense, and if you were found legally liable it helps defray the costs from the settlement or judgment against you. Licensed in all states EXCEPT: Alaska, Delaware, Hawaii, Illinois, Rhode Island, West Virginia, and Wyoming. Carrying liability insurance should be a priority to everyone in the Equine world, because all equine activities - whether a profession or a hobby - comes with unpredictable circumstances. Some people think you must be a large facility or must have a business license to get liability coverage. This is not true. You can protect yourself with liability coverage whether you board just one horse as a hobby, or board 300 as an extensive Equine Operation. This also applies to someone who keeps friend's or relative's horses on their property -- whether they do it as a paid service or not. If you're providing the care of someone's horse, you're at risk of being personally sued for damages if something happens, and you'd be wise to carry a liability policy. Boarding facilities often have instructors or trainers available to their boarders, or allow instructors or trainers to conduct business at their facility. If you as a stable owner employ someone to instruct or train solely under your facility, they can be added to your liability policy. If you have added an instructor or trainer under your liability policy, it only offers coverage when the instructor or trainer is conducting business at your facility, or as a representative of you or your stable. An instructor or trainer who is not your employee or contractually obligated in some way to your facility should carry their own liability policy and have your facility named as an additional insured to their policy. Ask them to provide proof to you as the stable owner by a certificate of liability showing YOUR facility or name on the certificate as an additional insured. CCC covers boarded horses if one (or more) of those horses is injured or dies while in your care and you are found negligent. The policy provides for the mortality or medical care of the value of the horse, up to the limit of coverage you purchase. This is available for all states except those listed above. For example, lets say the CCC coverage is $5,000 for a single instance, and $25,000 in aggregate. In that case, the CCC pays $5,000 for any horse not owned by you for illness, injury or death, caused by you unintentionally. Let's say you take a boarder's horse out to the arena or pasture for exercise and the horse bolts and runs into the road and gets injured or killed, this coverage pays up to $5,000 for that accident, subject to a $250.00 deductible (deductibles may vary). However, if the owner is letting their horse out and the same circumstance arises, there is no coverage, because you had nothing to do with the occurrence. If several horses were injured, let's say by a fire, the maximum the company will pay at the 'aggregate' coverage levels in this example is $25,000. Building insurance coverage is only available in California. * NOTE: If you don't give an income, we can't provide a quote! The premium is calculated with the income as one of the main variables. If you're starting a new business, provide your best estimate of expected annual income. Income per lesson for those horses you own. Any other use of the premises, or other general comments? 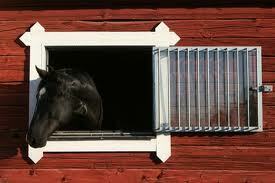 Boarding stables often offer schooling shows, clinics, play days and other activities relative to horses. Most of these activities can also be covered under your policy -- though some activities are excluded from coverage and some may need to be approved.